The emotional side of investing is the most intricate and most interesting. Few of us have been raised with a healthy understanding of money, so our relationships with money are complex and need individual attention. This is especially true of spouses needing to work together to achieve common goals throughout their lives. I work tactfully with clients, being mindful of their goals and objectives; this often leads to profound and unexpected results. I am not judgmental and learn about others by asking lots of questions. Hands-down, I love most when my clients achieve the goals they have worked so hard for! My favorite moments are when clients come excitedly to a meeting to share the success of the work we are doing. The decision to be fiscally responsible is often a learned then earned behavior. Celebrating big and little wins keeps me coming back, loving what I do each day. Many firms claim they are collaborative, but Miller Advisors truly is! I have had the opportunity to work with dozens of financial planners. I have found that clients receive the best work when we truly collaborate with others who are top in their field. At Miller, we collaborate by reviewing cases to gather multiple opinions thus obtaining multiple options. This keeps us on our toes and ensures the advice we give is never cookie cutter, and always, with the client’s goals and best interests in mind. Although it’s best for the clients, it does take more time and extra effort. Each of my clients is already successful in their own way. My life is much richer from their willingness to teach me, as well. This business came to me: After years of watching my long-term-care clients receive poor, or no personal advice, on many of their greatest needs and future risks. There’s much more to a client’s story than the numbers. Teaching in some fashion. I would also be aligning our retired generations, especially those immobile, with youngsters, to pass on their incredible depth of knowledge. I love the outdoors; hiking, gardening and exploring new places with my husband and sons. Kelli has more than two decades of experience in the investment industry on the individual and institutional level. Prior to joining the firm Kelli was a financial planner at a wealth management firm, a financial planner for MetLife and a Long Term Care Specialist at Premera Blue Cross. 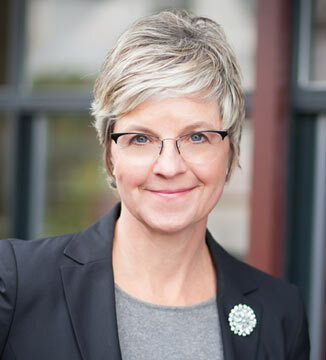 Through her collaborative approach, Kelli provides comprehensive financial planning and investment management advice with a focus on retirement planning.